I’m a die hard fan of liquid foundation. There’s something about the ease of applying liquid foundation that makes me a fan. So it was with skepticism that I tried MAC’s latest Mineralize Foundation SPF 15. To my surprise, the foundation went on really smoothly and I suspect it’s due to the gel based system that provides creaminess to the texture. 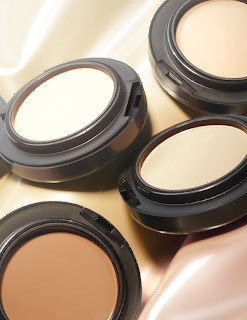 I guess there is a reason why this foundation was used backstage during the Spring/Summer 2010 fashion shows of; BCBG, Carolina Herrera and Baby Phat. The Mineralize Foundation SPF 15 boasts of lasting up to 8 hours (tho that is yet to be confirmed) and has a high water content. The foundation retails for HK$310 and is available at MAC counters.